The UK’s leading safety company has completed a deal to open a national customer engagement centre in a former newspaper office, bringing around 200 jobs to its home city of Hull. Arco, a family-owned business which dates back to 1884, plans to have the new centre up and running during the first week of July at WORX, an exciting new office development created by Allenby Commercial at the junction of Beverley Road and Spring Bank in Hull. 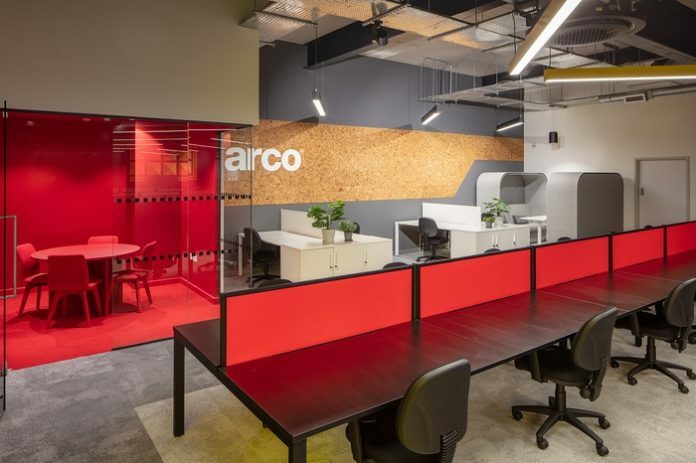 Arco revealed earlier this year that it planned to bring its customer engagement services together under one roof, with 190 trained and equipped customer service specialists operating in the centre. The investment programme will see the creation of 90 new posts in the region. The company has now completed on a 10-year lease at WORX and will move the first of the new arrivals into 14,000 square feet of space this week. Other tenants attracted by Allenbys since they acquired the two-storey building in 2016 include Planet Gym and Springboard Nursery. The Hull Daily Mail, which moved to the purpose-built site in 1989, still occupies part of the first floor. Garness Jones are marketing the rest of the property, with around 11,500 square feet still available and another leisure use to be announced soon. Arco’s new facility is part of the company’s investment programme that includes the £25 million expansion of its National Distribution Centre on Clive Sullivan Way, which will double its warehouse and distribution capacity and create up to 200 new jobs when it opens in 2019. Sacha Redman, Divisional Director of Customer Experience, said: “Our business is undergoing a period of significant investment as we transform our customer offer. The new location will open with the latest cloud contact technology, ahead of our new digital platform launch later this year. Having a single location for handling all our customer interactions is a key part of this, and we were keen to create an office environment that is reflective of our ambitions. Allenby Commercial embarked on a major transformation after purchasing the site, bringing it into line with the imaginative approach taken at its other developments in the city. The company added to the attractions of car parking and proximity to public transport by carrying out major improvements to the exterior of the building, including an ongoing landscaping scheme and creating stylish, independent entrances to each refurbished office. Inside, Allenbys turned the hidden gardens and courtyards into usable social space, removed internal walls and dated ceiling tiles to open up the building, and replaced kitchens, WCs, heating and air-conditioning systems. 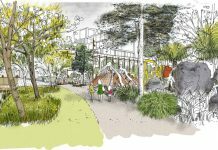 Georgia Allenby, the company’s Marketing Manager, said: “We saw the large, ground floor plate as a novelty space and a real opportunity to do something different and to link with the historical Botanical Gardens which were nearby. Charlie Allenby, Contracts Manager at Allenby Commercial, added: “It’s been great to work with Arco who are a like-minded business. We were both keen from the offset to create a space that works for the users and their new offices show what can be achieved. 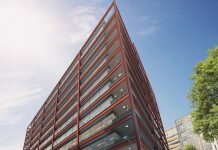 Paul White, Agency Director of Garness Jones, said: “Allenby Commercial have earned a reputation for excellence for their transformation of other sites in the area including office developments at The Maltings, Alfred Gelder Street and Chariot House.